The Seymour Duncan SH-6B Distortion Bridge Humbucker, Black is a high output humbucker built for aggressive playing styles. Recommended for old school metal, nu-metal, gothic, garage, punk, thrash and other heavy rock styles. This pickup produces a high output while retaining clarity. The massive ceramic magnet and hot coil windings deliver tremendous power and raw distorted rock sounds, more aggressive than the SH-5 Duncan Custom. 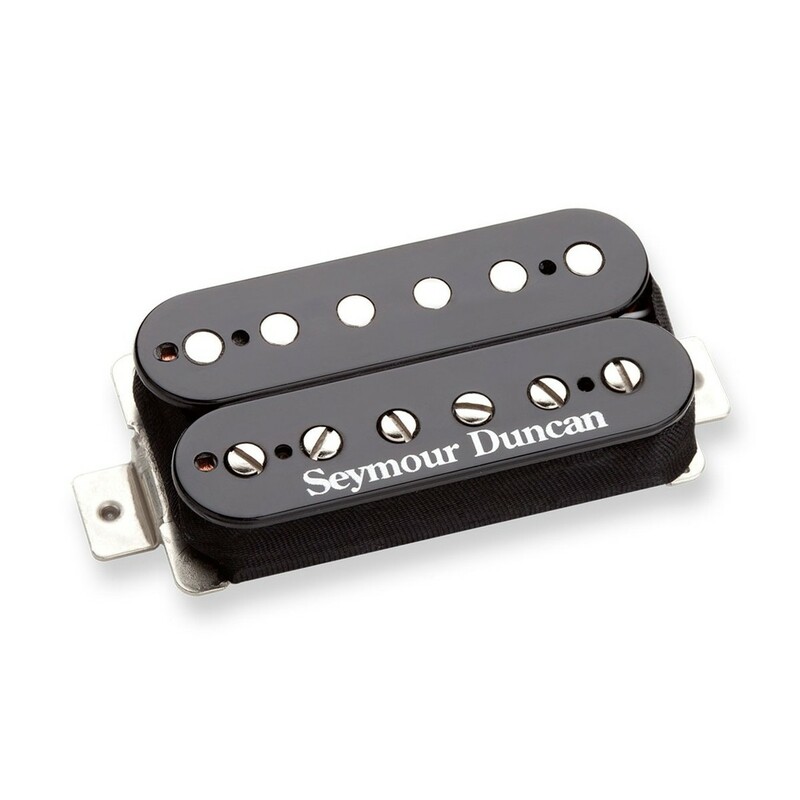 This pickup comes with 4-conductor lead wire for a variety of wiring options.